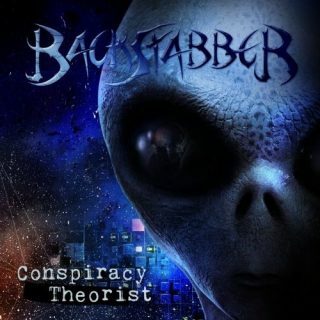 Backstabber : Conspiracy Theorist album download | Has it Leaked? We live in an age when conspiracy theories of all stripes seem to have reached a zenith, and the Canadian death/thrash band Backstabber (from northern Quebec) seem to have embraced the ethos (or at least fervently portrayed it) in their debut album Conspiracy Theorist. Consisting of 10 tracks that explore themes of scandal, critiques of mainstream media, and of course conspiracies, the album will be released on February 15th.